Flip a coin. If heads, choose two elements attacks equal to 50 damage (before applying weakness and resistance) and use them against the defending Pokèmon. 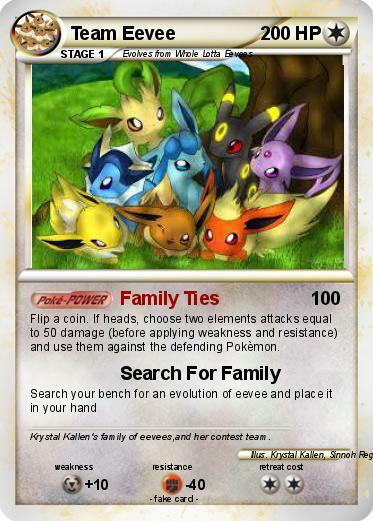 Comments : Krystal Kallen's family of eevees,and her contest team.